سواءً كنت مسافراً بغرض السياحة أو العمل، واي إم سي إيه هوستل هو خيار عظيم للإقامة خلال زيارتك للمدينة. يمكن من هنا للضيوف الاستمتاع بسهولة الوصول إلى كل ما تقدمه هذه المدينة النابضة بالحياة. يوفر العقار بفضل موقعة الجيد وصولاً سهلاً إلى أهم معالم المدينة.
. يقدم واي إم سي إيه هوستل خدمات لا غبار عليها وكل أشكال اللياقة وحسن الضيافة اللازمة لإسعاد ضيوفه. يقدم العقار خدمة سيارات الأجرة, تسجيل وصول/تسجيل خروج خاص, مكتب الاستقبال على مدار الساعة, تسجيل وصول/خروج سريع, تخزين الأمتعة لضمان الراحة القصوى لضيوفه. تنعكس أجواء واي إم سي إيه هوستل في غرف الضيوف.اتصال لاسلكي بالإنترنت, غرف لغير المدخنين, تدفئة, مكتب, مروحة هي بعض الميزات الموجود في العديد من الغرف. يقدم الفندق خدمات رائعة كمثل غرفة يوغا, مركز للياقة البدنية, مسار جولف - ضمن 3 كم, بلياردو, كرة الطاولة لمساعدتك على الاسترخاء بعد نهار طويل من النشاط والتجوال في المدينة. إن كنت تتطلع إلى إقامة مريحة وهادئة في المدينة، فستجد في واي إم سي إيه هوستل بيتك الثاني. لا يتاح التكييف المركزي في مكان الإقامة. تم توفير المراوح الكهربائية بدلاً من ذلك في جميع الغرف باستثناء غرف Triple Rooms وQuadruple Rooms. I am a coming back customer and YMCA Auckland always impresses me with its cleanliness. Single private room is really a bargain. Private fridge is a good way to prevent food theft. Less than 10 mins walk to Queen street. The only down side is the noise because of the thin walls and windows. The fire station just next to it can be noisy at night. They provide ear plugs which helps in dealing with the problem. Overall very good experience and will go back to it on my next trip to Auckland. Actually, I enjoyed my stay at YMCA. Location was good. I took a Sky bus from the airport and the bus stop at Queen st was close enough to the hostel. There were many shops and food nearby K road. It was very convenient taking city link bus from Pitt st to downtown Queen st. It was an easy access to go to Motat by taking bus no 18 from the bus stop just located in front of the hostel. For me, I took about 5 - 7 mins walking to downtown Queen st. The room was clean and spacious for single bed room size. The shower and toilet was also clean. The staff were very friendly and helpful. BBQ was on Friday evening. The facilities was excellent such as kitchen, laundry room, meal room, the lounge, breakfast (need to pay $8) , tour information desk, etc. Over all, it was a pleasant stay apart from the noise. My room was close to the laundry room so I could hear the washing going on. The noise of people talking, laughing and slamming the doors were bit annoying. It woke me up several times. Everything was so good, I loved living there . Only thing that could have been upgraded is the early check in. Guys don’t miss this Hostel, if you did look for Haka Lodge or Bamber House this are the other 2 which are the best in Auckland. 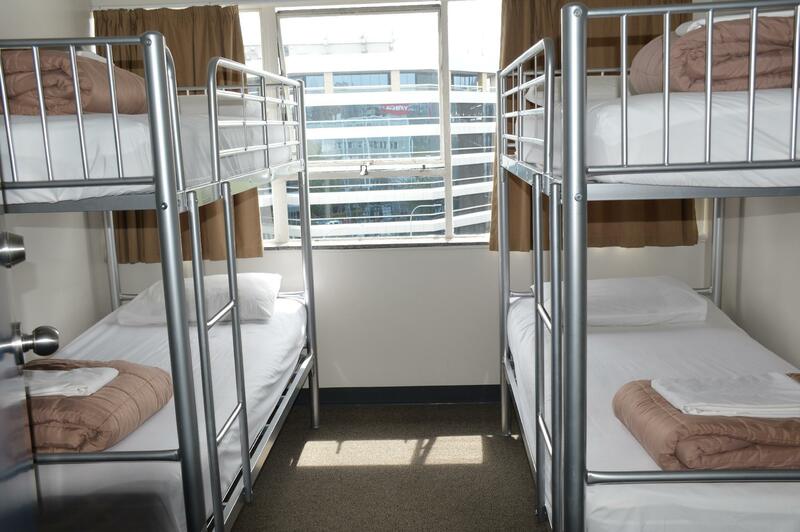 The staffers smile and traveler-friendly amenities in YMCA Hostel helped me enjoy my trip to Auckland. Thanks. The hostel are ok but i find that the check in counter should be more considerate. Im a lady and she put me on 3rd floor where there are only male toilet and showers. I have to walk up to 4th floor or go down to 1st floor just to go toilet or showers. Its very inconvenience specially in the middle of the night. I totally loved my stay at YMCA Hostel. The room, toilet and bathroom were so much cleaner than I expected from a hostel. The bed was also super comfy! It is also located so close to everything. You can either walk or take the red bus to Queen Street where you can hop onto another bus or ferry to wherever you want to go next. I never woke up early enough to enjoy their breakfast, but you can get a terrific breakfast spread for 5AUD, which is great if you're on a budget. K-Road is also just a short stroll away, which is an excellent place for thrift-shopping, if you love vintage stuff. Exceptional value for backpackers or solo travelers! The YMCA Hostel sits near the top of Queen's street, the location is easy to get to, the hostel is relatively quiet at night, the only down side is that it sits on top of a slope and it's a bit of a walk getting from the bottom of Queen St. back to the hostel. I stayed in the single bedroom with shared bathroom, the room is fair size and has a wardrobe, desk (w/ drawer) and a mini fridge. The room is clean, same for the rest of the facilities of the hostel, the shared bathroom, kitchen and common area are all clean and tidy. Absolutely A+ for maintenance. Staffs are friendly, helpful and professional, they have free bbq on the day I arrived! 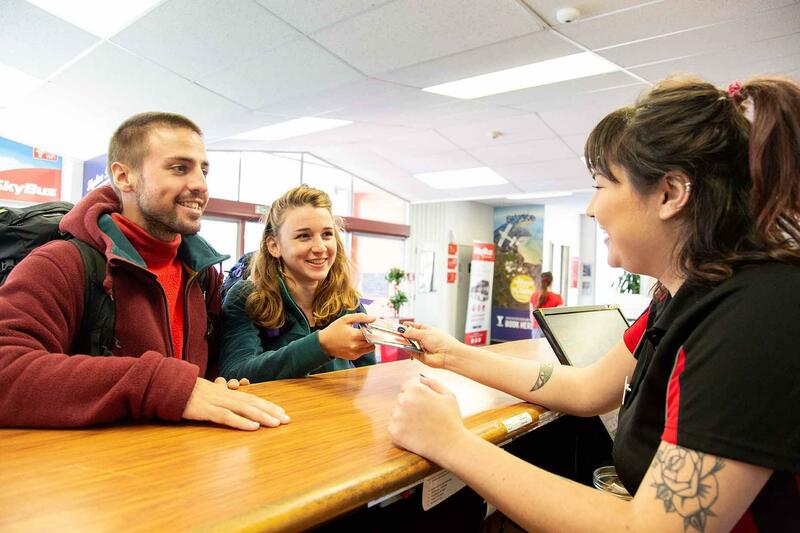 YMCA is very good value and I would recommend it to other backpackers. Staff were incredibly helpful and friendly!! They even helped me sort out what I needed to do for my Chinese Visa. They had a free pool and table tennis table. They even organised a free BBQ! The only thing I would criticise is that you need to pay for wifi. That aside, it was the perfect hostel! The hostel is a “quiet” one. If you want to social, pick somewhere else, but with that being said, still a good chance to meet different people in the kitchen and dining area. 5 floors of residents share only one tiny kitchen, so if you are planing to do some cooking through out your stay, you should try to use the kitchen early. 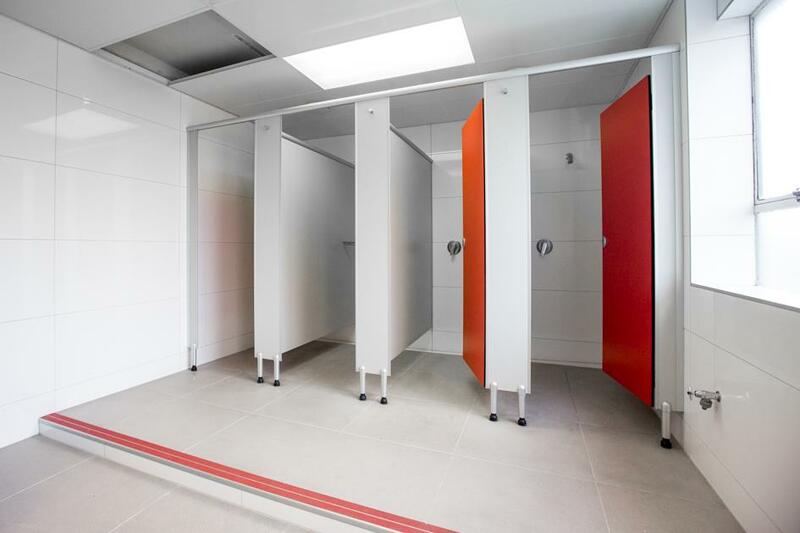 Bathroom and toilets are always sparkling clean. Rooms on 5th floor are newly renovated I reckon which is good. A private fridge(freezer inclusive) in every single room is a good touch. Just that the noise isolation of the room isn’t great, especially when the hostel just located next to a fire station and St. John Ambulance service. The siren can be annoying when you want to have a good night sleep. Earplugs are recommended. Parking is reasonably priced. Street parking is also available but they to fill up quite early. Internet is provided with additional cost. Price is also reasonable. Staffs are friendly and very helpful. 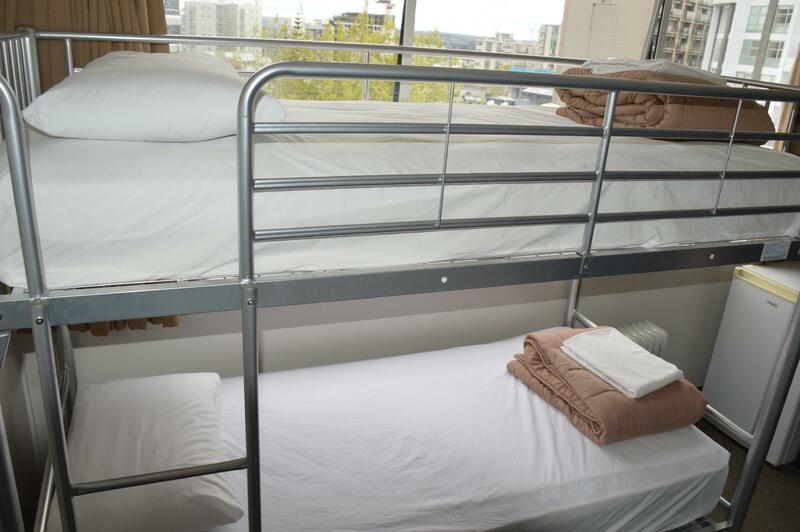 Clean hostel, room is good enough for single person, staff are nice the filipino guy at the counter was helpful and place is considered centrally located it is very near to queen street. Not so good is no wifi, no heater, no electric fan, no tv inside the room and only can change towel,bedsheet and pillow case every wednesday. Although I felt Greys Ave a bit unsafe( close to Meyer Park) at night. I walked on Vincent Street so no worries at all. The hostel was bright and clean. Friendly staff and cleaners. Bathroom and toilets were clean I never had to wait. There's kitchen, dinning room, laundry. They offer one day complimentary access to YMCA gym too. Single room has a small fridge, a wardrobe, a desk and chair, it was comfortable room. Happy to recommend budget travellers coming to Auckland who wants a functional, clean and safe place. However, maybe not a hostel for meeting fellow travellers. 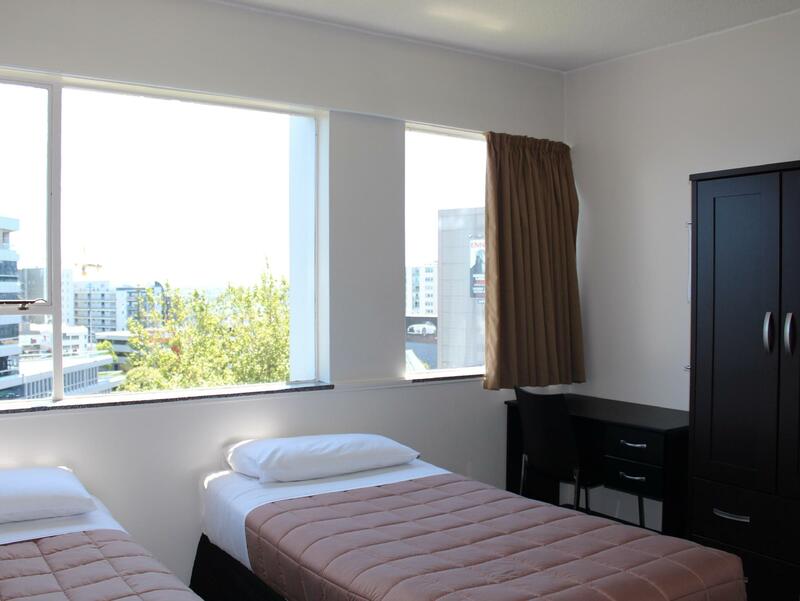 The YMCA was a nice good value lodging in Central Auckland. Room was comfortable and clean, so as the bathroom and toilet. Staff were helpful. I just hope the guests staying eill take care of their dirty pots plates and cutlery after used. The location, value, clean, kind staffs. Kitchen was well equipped just bit smaller than I thought but enough space for simple cooking. I've stayed only 1night in furnished single room. A friendly staff passed me some blankets because it was freezing night. Very helpful. It offers 24-Hour reception which is convenient to the late arrivers. Stayed in the triple room (with shared bathroom). Room had desk, fridge, heater and a closet. The room was comfortable and tidy. The shared bathrooms were extremely clean! Can't imagine cleaner bathrooms in a budget-level dorm setting. 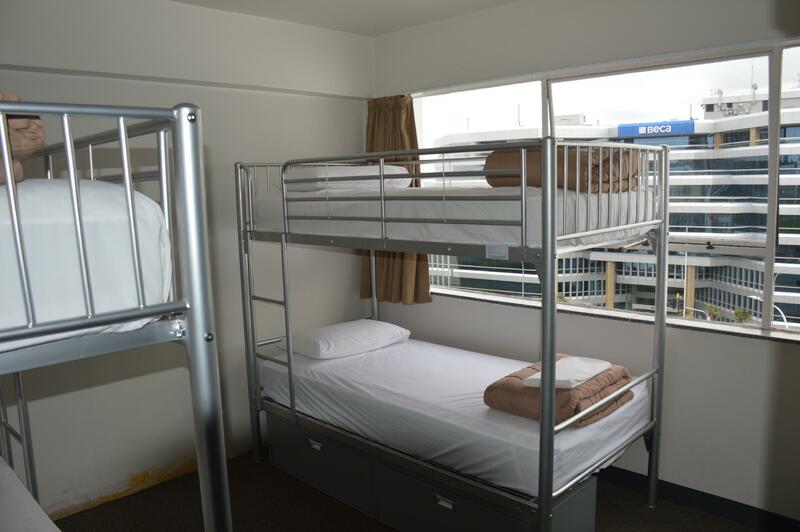 10-15 mins walk to Auckland CBD. I enjoyed my stay and found it offers good value. Biggest downsides are it is on a major road and a fire station is nearby. Cars zoomed down the street the middle of the night + fire truck got call too. 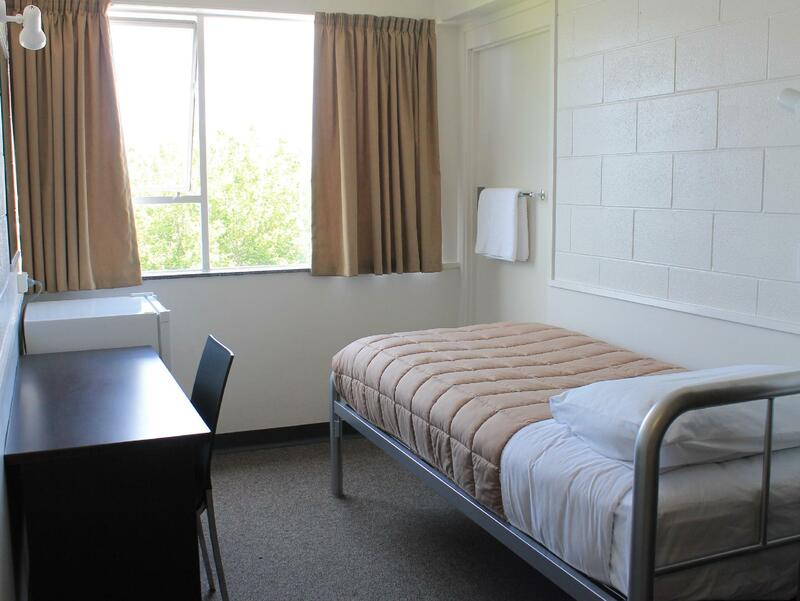 spent the first two weeks in NZ in a single room of YMCA Hostel which is decent and comfortable. Size of the room is just right. The toilet is very clean most of the time. Kitchen and dining area is a bit small. Overall it's a nice stay. The place is clean and staff very nice. The room is normal size for backpacker. Toilet is clean. WIFI cheap. Location near city. In the night some siren but it is OK Anyway somebody please change location in Google Map to the corner. 세탁은 코인을 리셉션에서 사야해요. 세탁기 4불 건조기 4불 세제 1불. 와이파이 사용하시려면 돈내셔야하는데 그건 좀 별로였네요. 그래도 전반적으로 시설은 깨끗하고 좋아요. 샤워실 따뜻한 물도 엄청 잘 나오고 수압도 좋고. 조식은 8불인데 주변에 있는 카페에서 먹는것도 좋지만 거의 이정도 가격이라서 아침 드신다면 여기서 드시는 것도 나쁘지 않은 선택이라고 생각해요. The hostel was comfortable and relaxed! Deepak at the front desk is an awesome guy - he knows how to work out the details to make your stay great! The room, toilets, and shower areas were very clean. There are only two small kitchens for the entire hostel, so at peak times they can be crowded. ; however, most people are patient & do clean up after themselves. I'm a light sleeper but I found the noise level was manageable. Just beware of the rooms directly across from the kitchen, as there are always a few disrespectful people who will make food or wash dishes after midnight. Internet no free. Maybe kitchens are small, but then is more easy to do friends when we are cooking. It's the only bad thing that I could say because I think is one of the best hostals in North Island.